It‘s not without reason that there‘s just something about Vienna that makes it the most liveable city in the world. Exploring this cosmopolitan gem on a summerly evening stroll and absorbing all the impressions it has to offer. While also taking you on a little musical journey with me. The view out of my window. This is a story about how a certain smell inspired me to go on a spontaneous walk and experience Vienna from a slightly different perspective: By following not only my curiosity, but literally my nose, too. 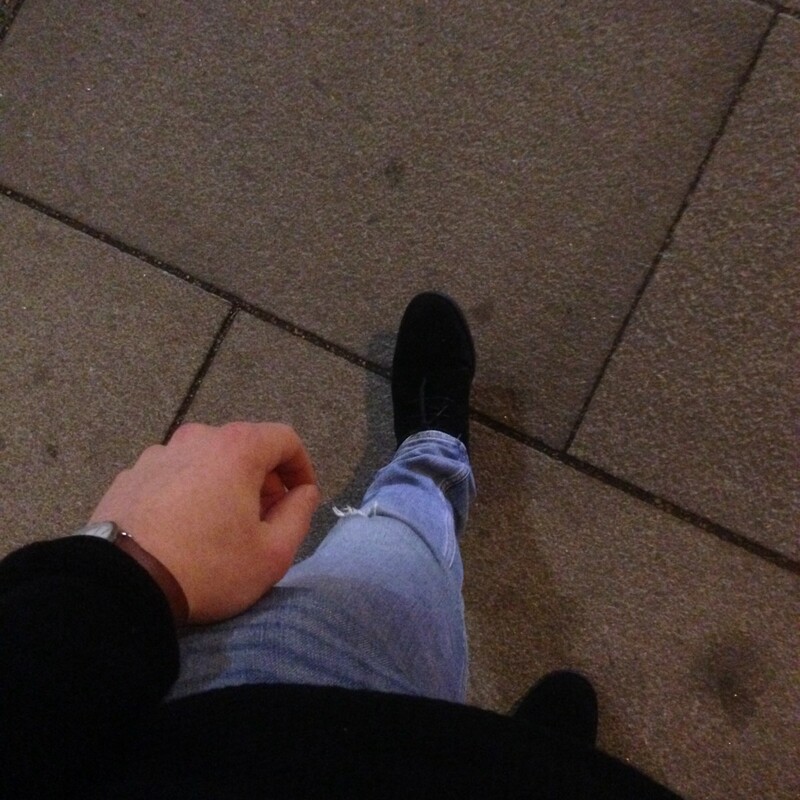 A random Sunday evening in March. 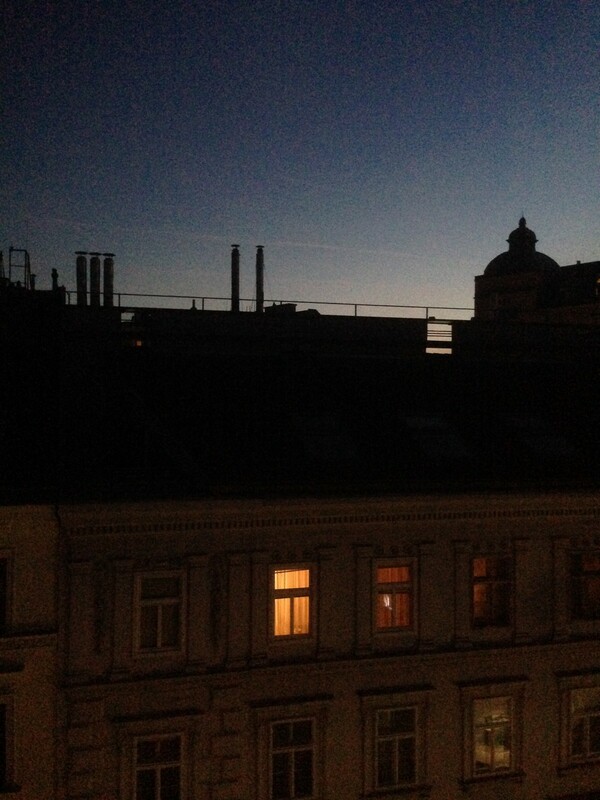 I‘m laying down in my room not too far away from Naschmarkt, being at the heart of Vienna. Just the previous night, I was invited to a housewarming party at my old roommates’ place and well, it has been a blast! Coming home In The Wee Small Hours Of The Morning, as Frank Sinatra would have called it, and having listened to birds chirping what seemed to be Mozart’s 40th symphony (that’s what a couple of weeks in Vienna do to you) on my way back, I spent the next day in bed just catching up on sleep. To be honest with you, I might have missed out on one of the first really warm days of the year here where it‘s been like 20 degrees Celcius outside. It’s always like that, isn’t it? But I guess That’s Life (man, Sinatra, you never get old), gaining something new by losing out on another option somewhere else. Opportunity cost is how they call it nowadays — I call it taking decisions. Still, seing the twilight sky through my window, I really wanted to have at least a little slice of the day and went on to open it. And there it was, this lovely note of burned wood and comforting warmth in the air. It just felt like home. I could finally smell the summer again, after all these months filled with freezing winds and utter darkness. We often take the sense of smell for granted, and even though It’s Not Like You have to enjoy each and every smell out there, we should embrace all of them. Especially those that might make us remember long forgotten childhood memories or just help us feel more alive again. Love Ratatouille, such a gorgeous and deep movie! You know, like a certain smell of cleanness, when you just smell fresh air and nothing else. Something you usually don’t expect from Big City Life. Actually, even though Vienna is quite big, it‘s still very compact and Low-key which is why it sometimes echoes a soothing smalltown vibe after all. I’ve already lived in seven different cities around the world and traveled to many more, but this one just takes the cake, really. On so many different levels. Step after step, one of the first things that will stand out in Vienna is just how clean the streets are. It’s so clean that I can see myself even eating from the fricking ground. Not even kidding. Maybe a little though. Sometimes, it’s also possible to literally smell the contrasts of the city, like experiencing a friendly battle of scents. The smell of freshly mown grass in the area of the Hofburg, the intriguing stink of culturally accepted cigarette smoke in bars, the familiar aroma of roasted coffee beans in a traditional coffee house, the comforting odor of horses (which means you’re probably close to the 1st district) or the strong whiff of some drunk student’s remnants of Ottakringer beer in a dark corner of the street. Let alone the trail of weed you‘ll ocassionally find along the Donaukanal at night, next to some of the popular hubs of the alternative club scene down there. Or burning cigarette filters sending a plume of rancid smoke out of one of the iconic cig bins at U-Bahn stations. But you know what? Funnily enough, I love all of them because they are all part of this beautiful city. Just a cool timelapse of Vienna that lost its way here. For me, it’s the freedom and time to do things that bring me real happiness in my everyday life, like strolling through the streets of Vienna with music in my ears. And putting myself into my own Quarantine world, far away from all of the outside noises. It’s about these little things in life. In fact, I saw the whole experience as somekind of a meditative exercise, where you just try to focus on all the sensory impressions around you. Especially for someone like myself — who tends to spend way too much time in his head — this one is extremely beneficial. Simply switching your busy mind off, letting your thoughts run free (somehow, it sounds paradoxical) and being present in the moment. Wait, I’m starting to become less grantig, again. Shame on me, fellow Viennese people, but I guess it’s Too Late — I fell in love with this place. 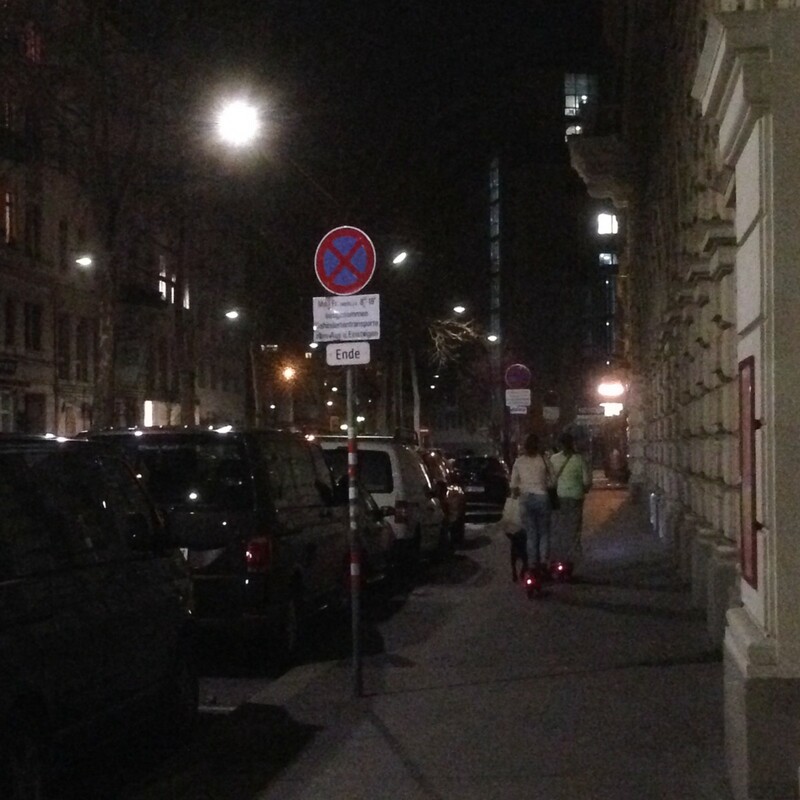 Still trying to figure out how to use these electric scooters you’ll see spread all over Vienna. I wonder how many people can fit on one of them. Not that I want to try it. My headphones actually died at some point into my private walking tour while I was trying to create my own soundtrack of my life. On The Train Ride Home, I ended up just looking out of the window into A Sky Full Of Stars. O, What A Lovely Night. If you liked this story, it would make me really happy seeing you leave a couple of claps here! Want to learn more about myself? Head over to my portfolio at https://chrschw.com and feel free to say hello! I won’t bite, promised.